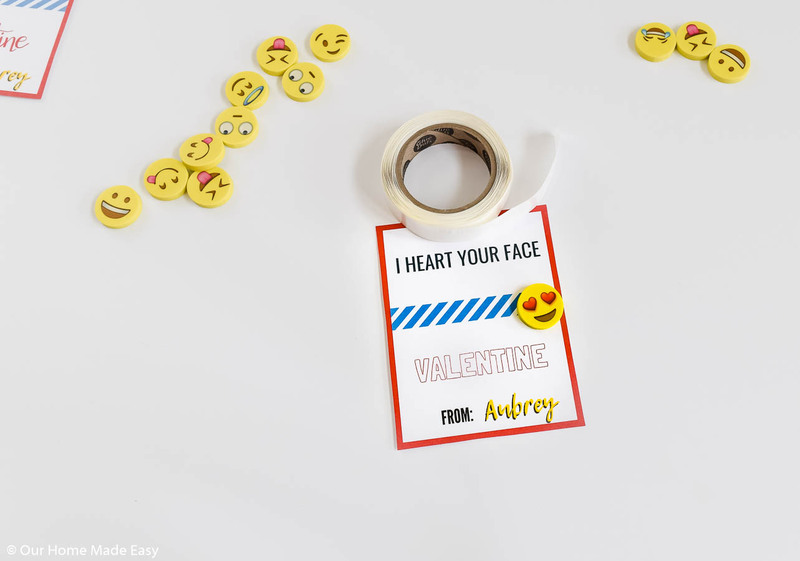 Make these fun free printable emoji valentines cards in just a few minutes! 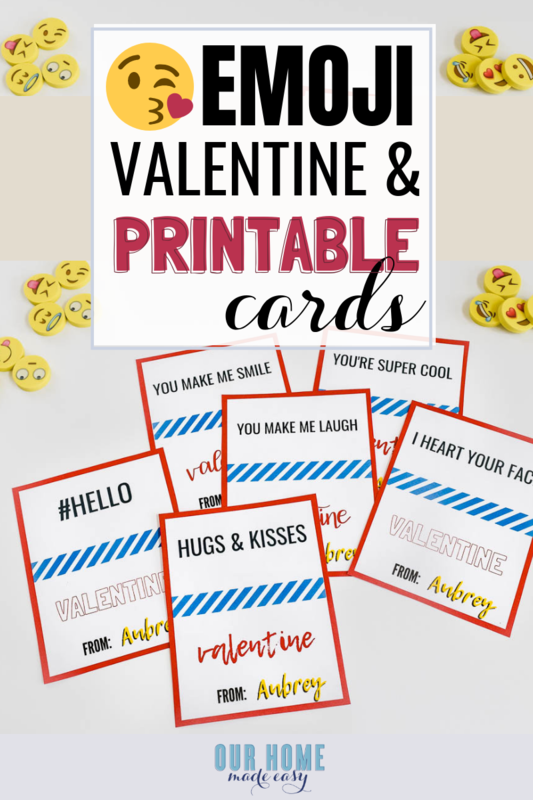 They are great non-candy Valentine’s Day treats to pass out! 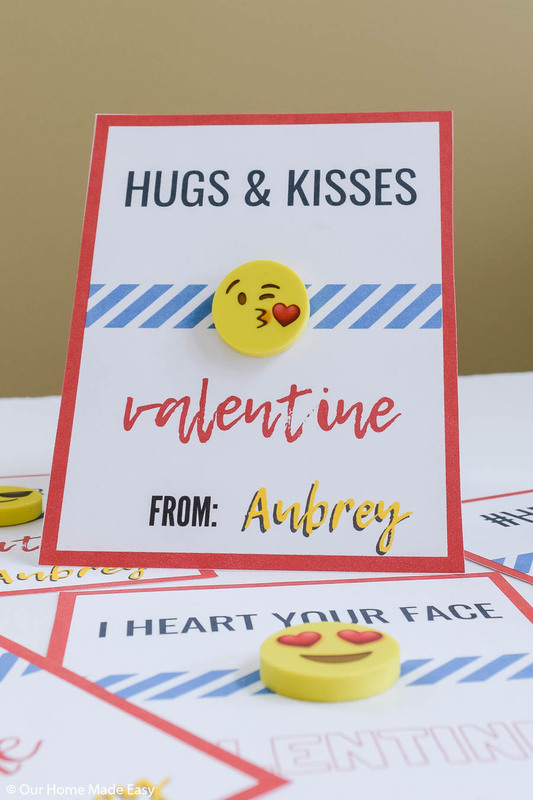 Last week I shared Owen’s DIY Dinosaur Valentine’s Day Treats and I am so thrilled that you guys loved them as much as he does! 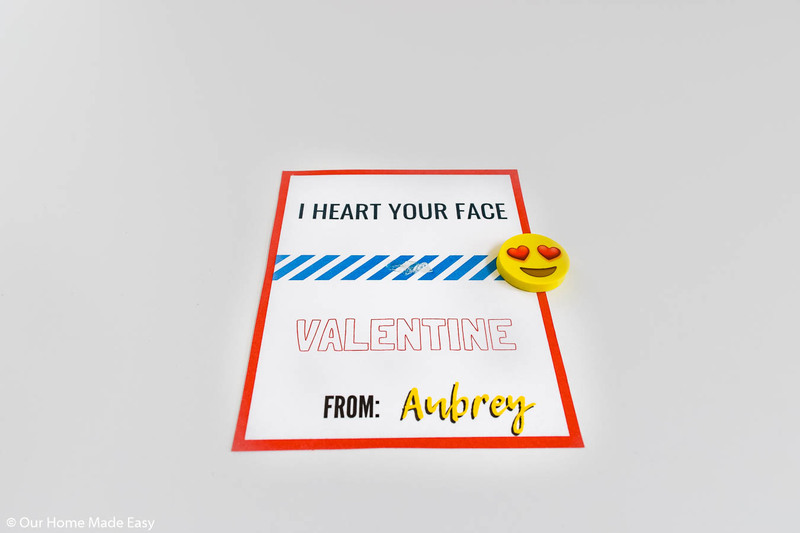 Not to be left out, I started working on Aubrey’s valentines as soon as I could. aka… as soon the Amazon van delivered her glue dots. 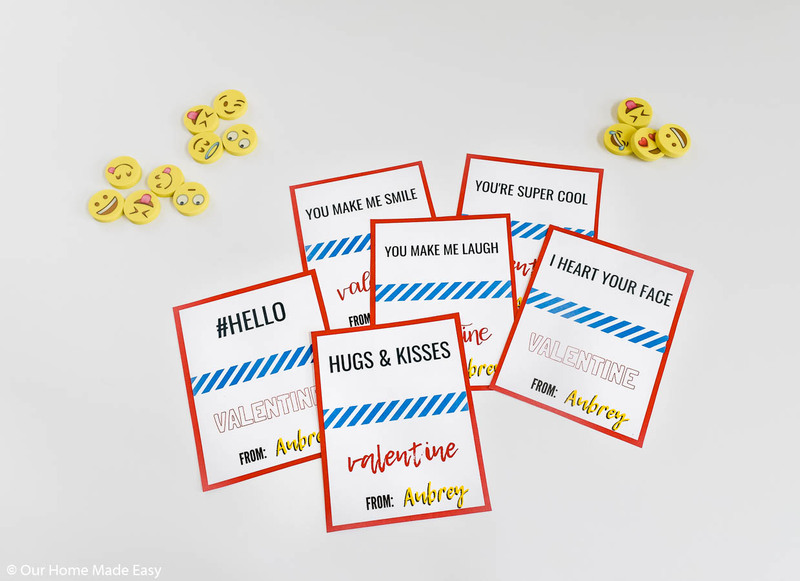 Now that they’ve arrived, I wanted to share a little bit older version of Valentine’s card for anyone who has an elementary school-er. She is thrilled, I’m happy that they were so simple to throw together and everyone’s happy for a few minutes! For these cards, I made them a bit larger than the dinosaur ones and used sturdier paper. I tested regular computer paper before using the thicker paper. The paper ‘looked’ good, but didn’t hold the eraser up and kind of ‘flopped’ over. 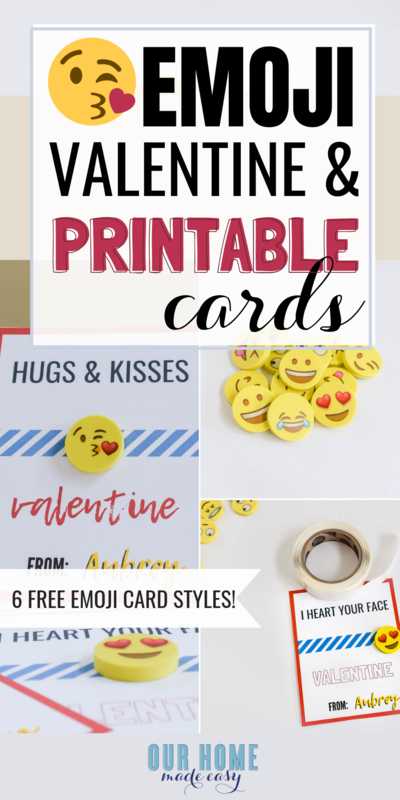 For this tutorial, I am going to recommend that you use a thicker paper, or have the free printable download printed off at Kinko’s or Office Max. 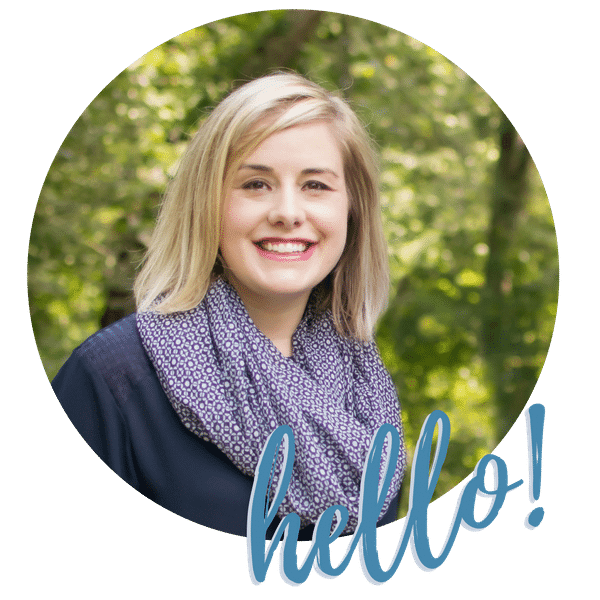 For less than $2, it’s a total steal and you’ll be much happier with the end product! This allowed the emoji erasers to stay on the paper well and it just looks really nice on the thicker paper. No shaky paper at all. Amazon will recommend buying a glue dot dispenser along with the glue dots. Unless you really plan on using the glue dots for more projects, I don’t think you need the dispenser. They were easy to peel off, stick on the paper, and move on to the next card. Aren’t they cute? 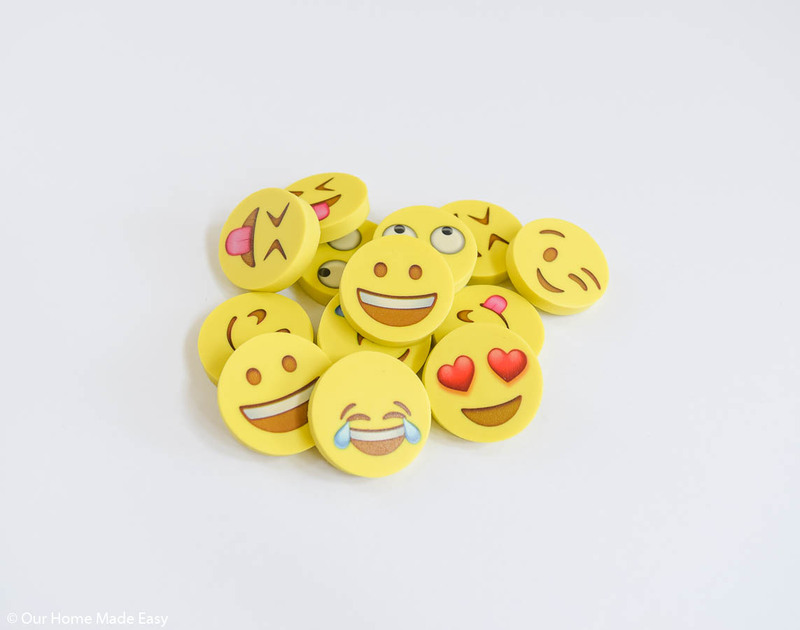 Print them off when you have a minute near the computer, and cut & press the emoji erasers on while you are relaxing. 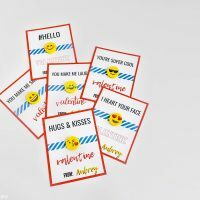 Make these fun free printable emoji valentines cards in just a few minutes! 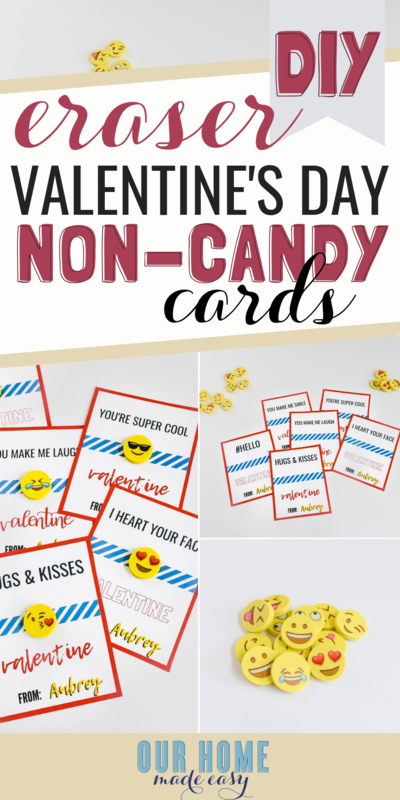 They are great non-candy Valentine's Day treats to pass out! Miss out on the rest of our non-candy Valentine’s Day cards? 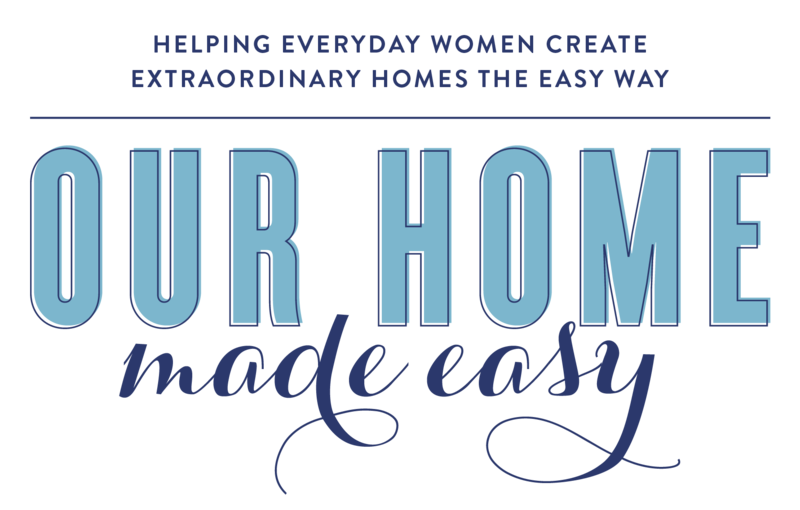 You can find them here! 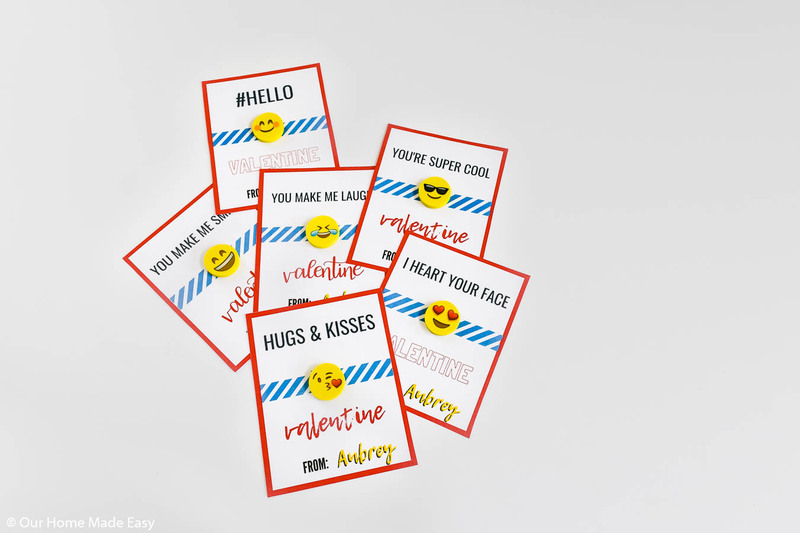 Don’t forget to download your FREE emoji Valentine here!